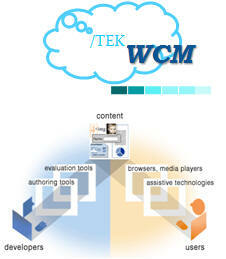 iTEK’s Web Content Management Center of Excellence (WCM CoE) is a research and development team managed by highly skilled WCM professionals. The team comprises of 70+ WCM professionals working on Microsoft SharePoint, IBM WebSphere and Lotus group of products, DAY Communiqué, ECM Documentum and established open source products. The WCM CoE team provides strategic support to government agencies and businesses, and recommends appropriate technologies and tools, configuration of the tools, customization, where necessary, migration of existing content, deployment, hosting and maintenance of the WCM solution. The team also researches the best practices on WCM standards and offers, as an adjunct, marketing services for brand building and multilingual globalization support for driving traffic to the web site. 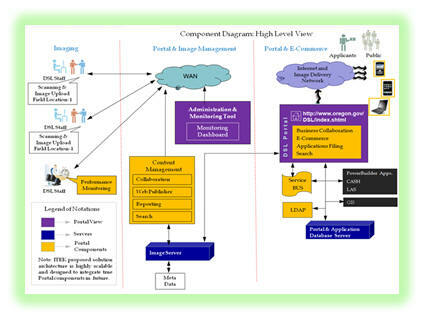 The team has extensive expertise in portal integration with applications using message broker, content migration, and implementation of Web 2.0 features with emphasis on social collaboration, and provides implementation support for industry standard access of information like JSR 168, Web Services for Remote Portlets (WSRP), .Net Web Parts and interoperability between JSR 168 and .NET WSRP.